We took very little risk, 29th overall picks are inexpensive and rarely pan out … on a guy who has a legitimate shot developing not at all or into a legit NBA starter. 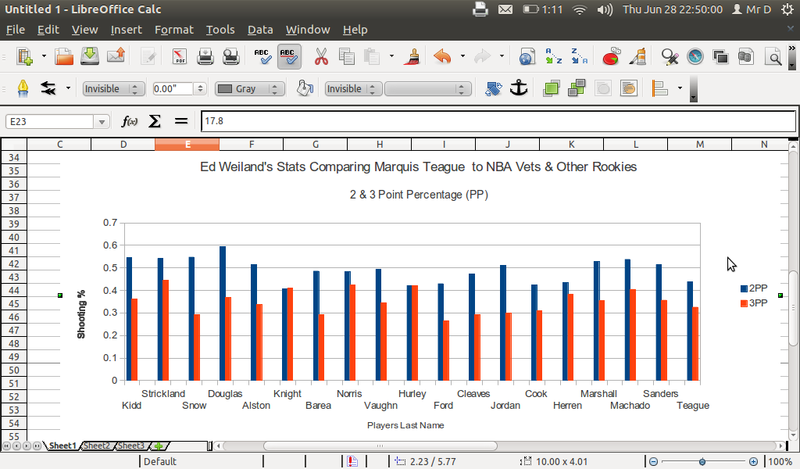 We’ll start with a graph of his 2 and 3 point percentage, which place him about middle of the pack. Teague is par for the course with th other pass-first point guards on this list, so data doesn’t tell us much save that he has a chance to grow into a dependable guy you can get 20+ minutes a night of good basketball from.